I have been asked a few times now if any part of becoming a mother through adoption was different from what I expected. What stands out the most is that I honestly didn’t fall in love with her right away. Don’t get me wrong, when I held her in the hospital, minutes after she was born, I loved her. But it was a love like I feel for any adorable, sweet, innocent baby. I didn’t feel that overwhelming, motherly, I would do anything for you, love-at-first-sight that we hear about. I was looking into the face of a stranger. She was a cute stranger, but a stranger non the less. Simply telling me this was my child didn’t make me feel it. I have taken a lot of comfort in friends who gave birth to their children and experienced something similar, realizing that this happens to parents of all types. Just as it took time for me to get to know and fall in love with my husband, I needed space to fall in love with my daughter. At first my responses were gentle, knowing the intent had been innocuous. “You mean her birth mom? She’s…” But after a while I realized I need to use my own words to reinforce that WE are her parents. “Her dad’s sitting right over there. Do you mean her birth dad?” I take no offense from individuals, I know they mean no harm. But the repetitive mislabeling from society as a whole can wear on you, and I had to do something to counter the effects. Over time I have fallen compleatly in love with her, and now I do feel like a parent. I don’t think I can put my finger on any one moment when my love became more real, though her first smiles certainly helped. However what made me feel most like a mom in those first few months came from the most unlikely source. We are lucky to live on a block with a wonderful blend of friendly neighbors, many of whom we know by name. Some we have dinners with regularly, others we just wave at in passing. But they were all so excited to meet our new addition when we brought her home. As we were walking down the block with her on one of those first trips around the hood we were greeted with “Is that your baby? Did you adopt her?” The source was Frankie, a loud, vivacious character who has had his scuffles with the law but is always friendly and warm when we pass him on the street and makes it his priority to look out for everyone who lives on our block. We only spoke with him briefly that day, but in the weeks that followed we saw him many times, and he always gave a holler of “Here comes the proud papa!” or “You take care of that baby, Mama!” It was so simple, but it made such a difference. Without a second’s hesitation he was recognizing us as her parents, and though I’m sure he had no idea the power of his words, it was huge. Frankie may be an “unsavory” character by many definitions, but he cares about this neighborhood and the people in it. With just a few enthusiastic words, this man we barely know made me feel like a mom. It has been nagging at my mind recently that I left this story unfinished. The past months have been a whirlwind, being first time parents with a newborn baby makes life hard! Add to it that the adoption process doesn’t end with birth. Curve balls can still be thrown, and at times it felt like we were living the Lifetime movie that so many had warned us not to watch. Now, 8 months later, we are an “Official Family”. The adoption has been finalized, and we are parents. Before writing this post I re-read much of my blog, reliving the journey that brought us here. 3 years after beginning our journey to parenthood our daughter was born! We sat at an adoption orientation just over 2 years ago now, scared and unsure. Around a year before a judge declared our family official we received our first email from the woman who became our child’s birthmom. We brought our child home, just as I had imagined months earlier, wrapped in a simple blanket I made. The little gray room with the yellow curtains that I spent so much time perfecting, my sanctuary for dreaming (and where many of this blog’s posts were written), is now where my daughter sleeps and plays. My friends threw me a baby shower a few months ago, at the end of which the baby herself got to make an appearance. Mother’s day this year was filled with happy tears, as I celebrated my new role, and also honored the woman who gave my child life. I look back on our journey and I wouldn’t change a thing, because in the end the most perfect child found us. I don’t plan to re-hash every detail of he past 8 months here. But I would like to update this blog with some valuable lessons that the events of adoption and parenting has taught me and my family. I don’t know how much time I’ll have to write, and how many posts I’ll be motivated to share. But for those who are interested, I’ll continue to tell our story. 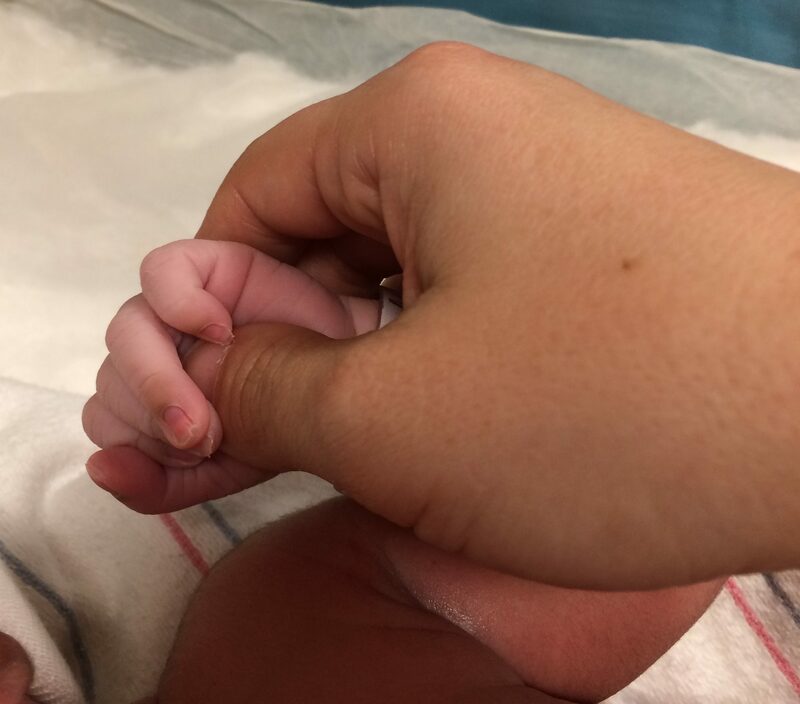 A few weeks ago I told my husband that all I wanted to do was crawl into a cave and watch Netflix ’till it was time for the birth. In a way that’s what these past few days have been. Admittedly our accommodations are quite a bit nicer than a cave, an d Netflix has instead been a strong dose of HGTV. But the sentiment is the same. We’ve hidden from the world in a reality all our own. We explored a new city, baked cookies, and I’ve been knitting up a storm. In fact there have been times when I’ve needed to remind myself why we’re here. 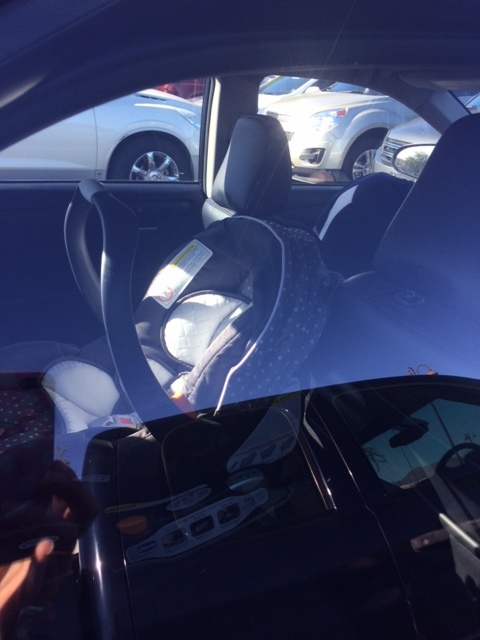 Then I catch a glimpse of the car seat in the back of our rental car and I get a hint of jitters. This morning I woke up and somehow overnight jitters had hatched into full out nerves and anxiety. Maybe it was prompted by recent conversations with the social workers and lawyer. Or maybe meeting M yesterday for ice cream pulled me a little closer to reality. But for whatever reason, today I’ve found it a lot harder to hide from what is about to happen. Tomorrow’s the day. Maybe our lives are about to change forever. Or maybe our world with come crashing down. Tomorrow’s a big day. Tonight I’ll keep knitting. Enter your email address to join our journey and receive notifications of new posts via email. 8 Months Later | Wai… on Could this work?